I love decorating. 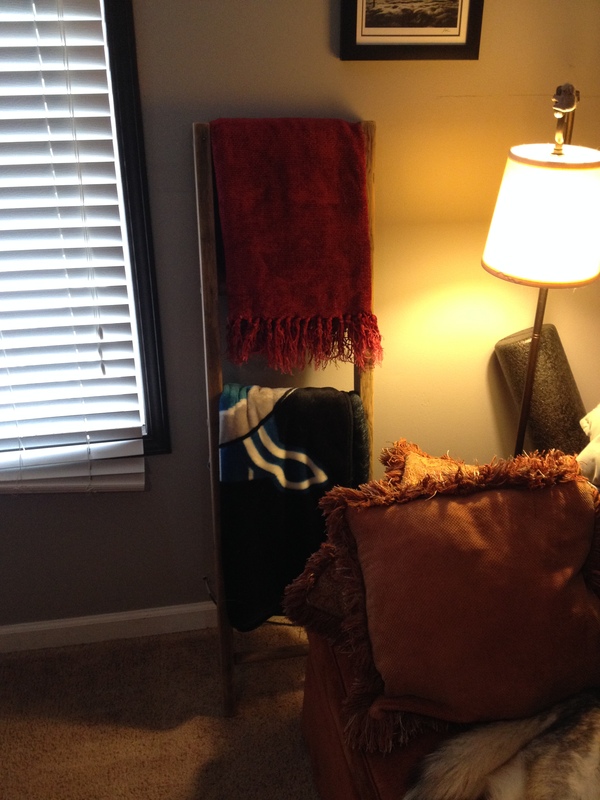 It is probably my favorite part about moving or reorganizing… redecorating! I am in super decoration mode for our impending move, which is ridiculous seeing as we don’t even have our apartment guaranteed yet. This does not detour my Type A personality…I have that place 90% decorated in my head (the power of positive thinking goes a long way). Today, we have a new couch being delivered (moving or not, we needed a new couch), I have ordered new rugs, bed spreads, and have started collecting decorative things that will fit with my new design palette, which I can see in my head, but have yet to define very well. (All of this is thanks to my tax return… and sales). 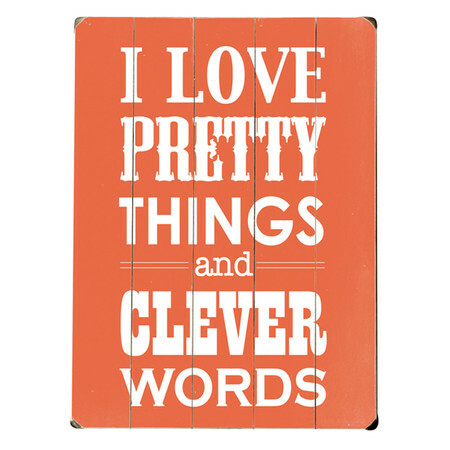 Paul bought me our first new piece for our guest bedroom/office this weekend. 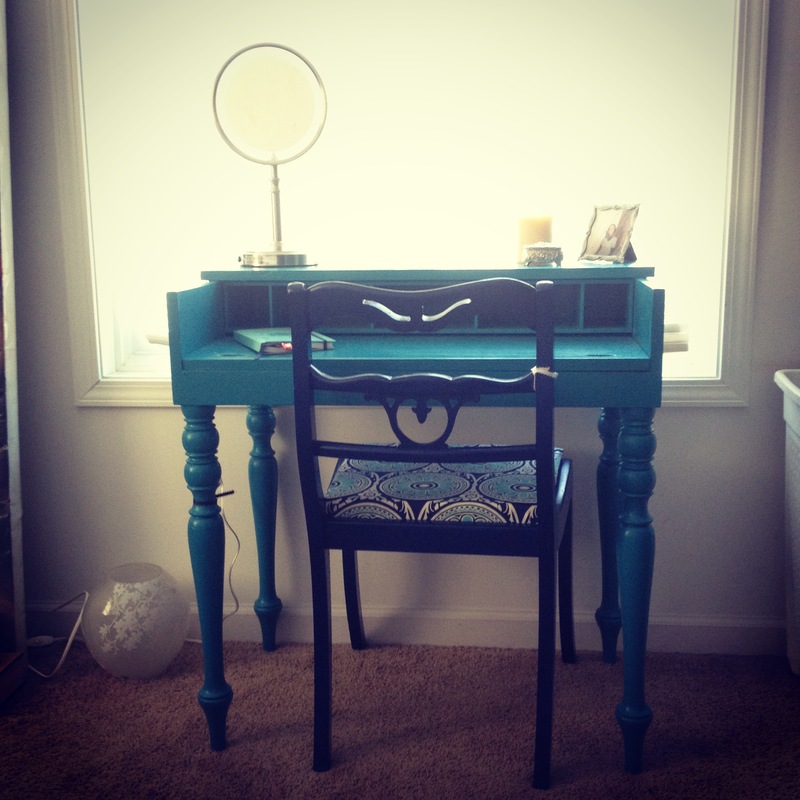 An early birthday present in the form of a new writing desk/makeup station that we found at an antique store. 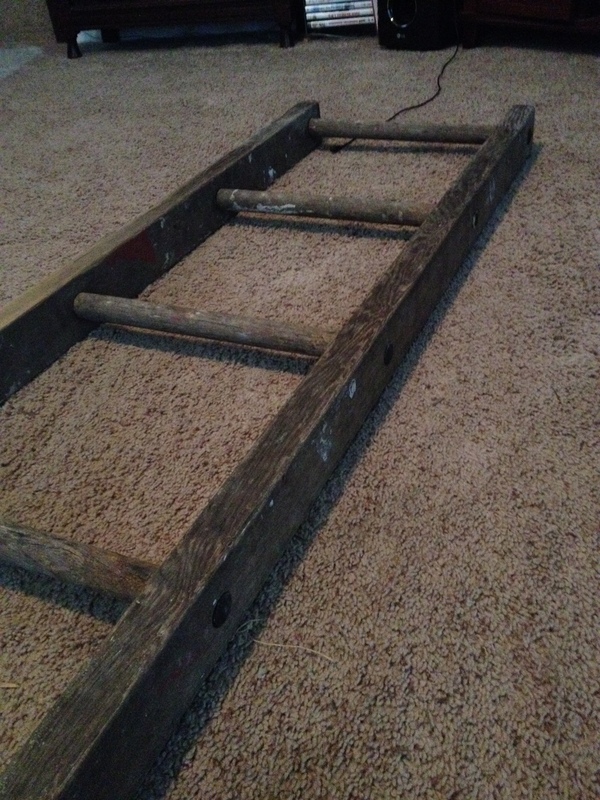 I have also been in a search for an old ladder that I could use to hang blankets on in our living room. I think I found the idea on http://www.livecreatingyourself.com/ , a blog that I absolutely love. I feel as if we have extremely similar taste (and she loves her dogs), but I would be ecstatic to live in her apartment. 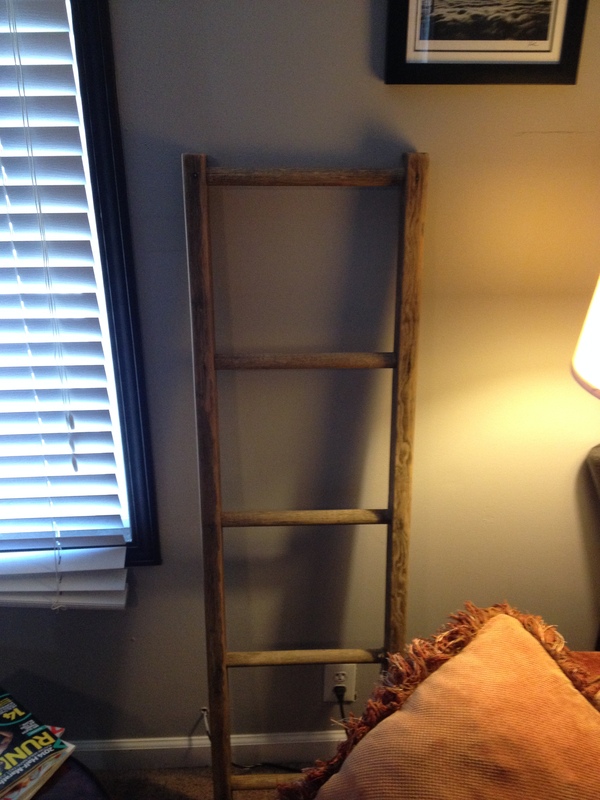 Anywho, I get so sick of our blankets just hanging off of our couch (or on the floor where Max likes them), so I was giddy when I finally found an antique ladder last weekend. It started out kind of gross (and smelled like horses, Paul thought), but when you are antiquing or DIY-ing, you have to look at potential, not what you are presented with. Bless Paul’s heart because I was just going to take it home and put some old sand paper to it, but he escorted me to the hardware store to buy me 3 kinds of sand paper, a mask, and blocks to wrap the sand paper around (who knew?!?). Voila!!! I love the color! I suppose my need to decorate a new apartment that we aren’t even in yet stems from the fact that things are still so up in the air about our move. We will hopefully find our exact move date this weekend, school starts in September, but it is still to early to find jobs and have other things fall into place. One thing I can control is our home, so that is where all my energy is going. Call it the anxiety-control freak side of me. Is there something in your house that you particularly love or did yourself? 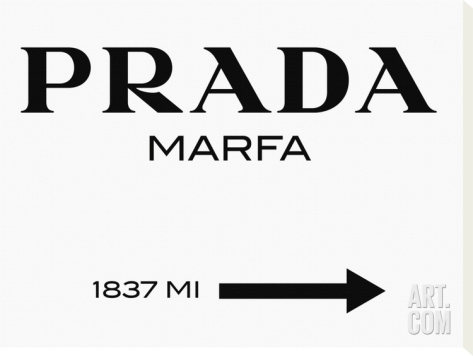 ← Are Sweatpants One of the Seven Deadly Sins?